According to a report released by the research firm Canalys on February 6th, one in six PCs shipped in Q4 2012 was an iPad. iPads make up a third of worldwide PC shipments in Q4 2012. The worldwide PC shipments also increased to 134 million units, a 12% year-to-year increase. Apple, like before, continued to lead the PC market, shipping 27 million units and holding a 20% share of the PC market. Apple is followed by HP, which shipped 15 million PCs and took an 11% share of the PC market. Lenovo also shipped about 15 million PCs and also took an 11% share as well. Samsung shipped 11.7 million PCs and took a 9% share. Dell is in fifth place, shipping only 9.7 million PCs. Dell is declining but the potential buyout may change things. Apple showed strong demand for the iPad mini, but Apple’s pad share dipped to 49% in Q4. Amazon’s worldwide pad shipments grew 18% to 4.6 million along with Samsung’s shipment increasing 226% to 7.6 million pads. With Amazon and Samsung’s increase in popularity, 46% of the pad share is Android-based pads. With Android increasing it’s tablet market share, Apple has more to worry about in terms of competitors. 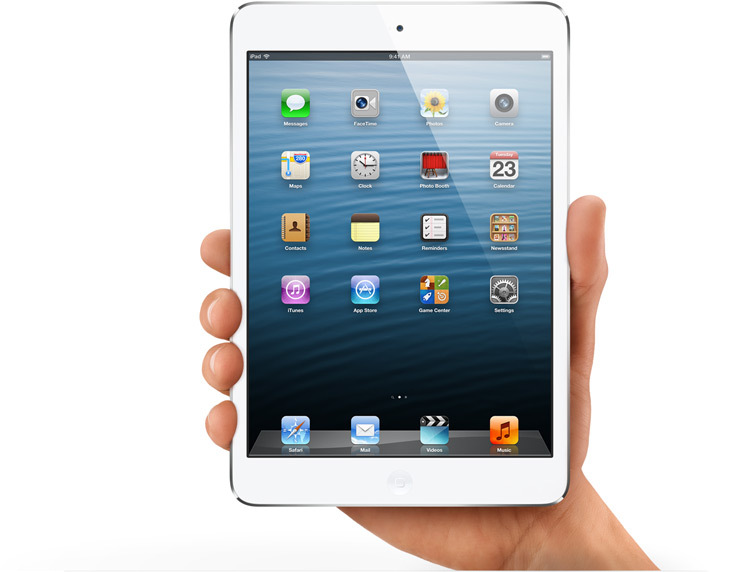 Nonetheless, Apple’s iPad mini has helped Apple remain competitive and not lose its popularity in the tablet market. Feel free to leave questions or comments! What is iCloud? iCloud is like a hard drive through the internet. iCloud is arriving this fall. It is accessible from your iPad, iPhone, iPod touch, Mac or PC. It gives all your devices instant access to your music, movies, photos, apps, and more. iCloud automatically keeps all your devices up to date. Once you update your iOS devices to iOS 5, your apps become integrated with iCloud and all your content is kept up to date. When you sign up for iCloud, you are given 5GB of free storage, which is a lot when your purchases from iTunes don’t take up any space. Mainly your mail, documents, Camera Roll, account information, settings and other app data are the only things taking up space. With iCloud, you can purchase music from iTunes and iCloud automatically stores it and pushes it onto your other devices, so it’s automatically on all your devices as long as they are connected over Wi-Fi or 3G. You don’t even have to sync your devices. You can also look through your purchase history and download any of your past purchases onto your devices. iTunes Match is another option if you have a lot of songs you didn’t purchase from the iTunes store. For just $24.99 a year, iTunes will scan and determine which songs you have and will match it automatically with the song in iTunes, which will be added to your iCloud library. You have to upload the songs that iTunes can’t find a match for. Even if the original copy of the song is low quality, iTunes Match lets you play it at 256-Kbps iTunes Plus quality. Whenever you take a photo with your iOS device or import a photo onto your Mac or PC, it is automatically stored on iCloud and pushed to all your devices, as long as there is Wi-Fi. When new photos are pushed onto your iOS devices, only the last 1000 photos will appear on your Photo Stream, but if you want to make sure the photo is saved on your iOS device, you can save it from your Photo Stream to one of your photo albums. Your Mac or PC automatically keeps all your photos. Certain apps, like Apple iWork apps, make it possible for you make documents, presentations, and other documents, but now with iCloud, your apps can store that information in iCloud and that gives you access to your documents with whichever device. With iCloud, all the apps you download can be automatically pushed to all your devices. Another cool feature about iCloud is that when you use iBooks app or the iBookstore, all the books you save can be pushed to all your devices, and when you leave a bookmark, highlight text, or make notes, they are automatically pushed to all your devices. How convenient is that? iCloud also automatically backs up your iOS device daily over Wi-Fi. Backup is convenient and seems completely effortless because it backs up only the changes you made, so it is quick and efficient. iCloud Backup takes care of everything when you need to restore your device, just connect your device to Wi-Fi and enter your Apple ID and password. iCloud also stores your email, calendars, and contacts and also automatically pushes them to all your devices. According to a infographic by Hunch.com, there are many differences between a “self described” Mac and PC user. The infographic shows interesting details from personality to political views based on the people who took the pool. What do you think of this infographic, does any of this fit you? Mac or PC, what’s your choice? See below for the infographic.